2) Which Springboard building do you live in? 3) How long have you lived there? 4) What were the most significant factors which influenced your decision to move in to Springboard? It provides an alternative to the more traditional style of house-share. I was particularly attracted to the social element Springboard offers, and Fulham is a great location. 5) Has Springboard lived up to your expectations in these areas? Why/why not? 6) What are your favourite things about living at Springboard? The Fulham house-share is very social yet you can always have your own space if you want it. 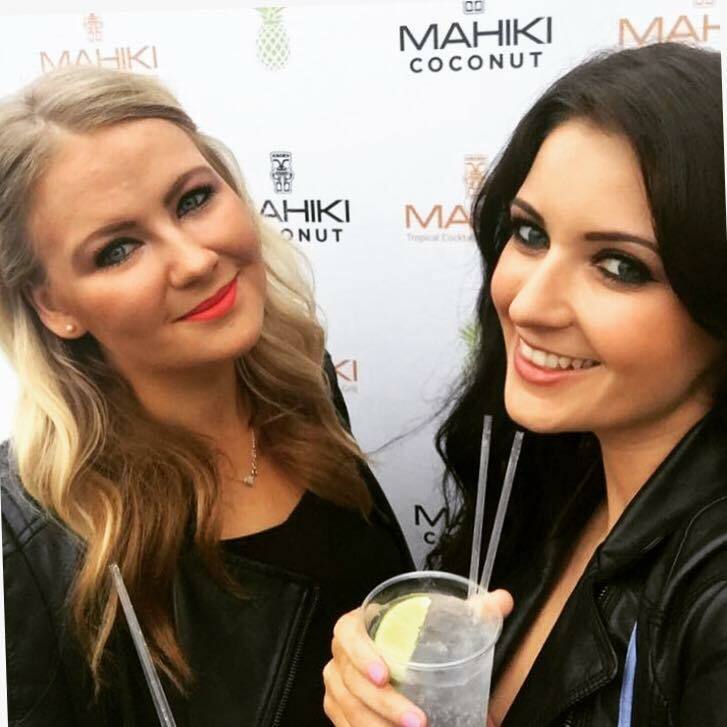 We have a WhatsApp group for the house which helps with planning our nights out, as well as being used for general social chat. A few people head over to the weekly pub quiz and we have movie nights during the week. There’s always someone around if you want to have a natter, and the weekends are far from boring. 7) Is there anything you would have liked to change or any recommendations you would make? 8) Have you experienced any problems with your room/maintenance etc ? If so, how were these taken care of? Not really. One time my door lock got stuck once, but it was sorted out the same morning, that’s about it. 9) Do you take advantage of the Springboard social scene? If so, tell me a little bit about friends you’ve met at Springboard, and any trips/outings/fun experiences you’ve had with other Springboard tenants. Yes, we all do. 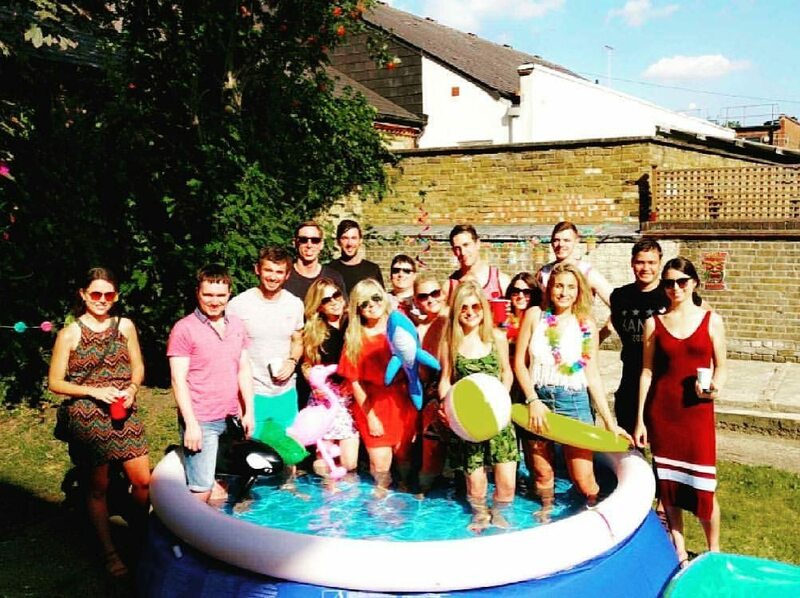 We recently had a big night out to Polo in the Park, a Fulham pub golf night, a huge summer party (complete with beer pong and a paddling pool!) in the garden and a few of us went for a day out to Thorpe Park. There’s always something going on that you can get involved in! 10) What is your favourite Springboard story or memory? There’s too many to name, every night in or out comes with a good story! I was very fond of coming home from work on my birthday to find the kitchen and garden decorated and cute cupcakes made by the housemates – We do birthday parties pretty well at Springboard! 11) How does your Springboard experience compare to that of other landlords and places you’ve stayed? I’ve stayed in a similar set-up to Springboard previously and the experience was no-where close to being what Springboard is. It is tricky to move to a big city and dive into the social scene quite so easily. Luckily, at Springboard this just comes naturally! Whenever there is an issue in the house, we can always count on it being resolved quickly, thanks Rob! 12) Would you recommend Springboard to a friend? If so why? 13) Provide a sentence of two to sum up Springboard in your own words. Springboard offers more than just a house-share or a room, it offers a lifestyle. Personally, I have made some friends for life here and have had the best times with an awesome bunch of people. I look forward to making a ton more memories here! To find out more about Springboard and what we offer, as well as life in London, check out the rest of our blog, or to arrange a viewing, click here.